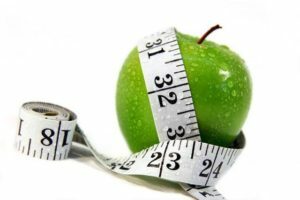 At Slender Wonder we treat the cause of obesity and not just the symptoms. Because of this approach we have an excellent success rate! 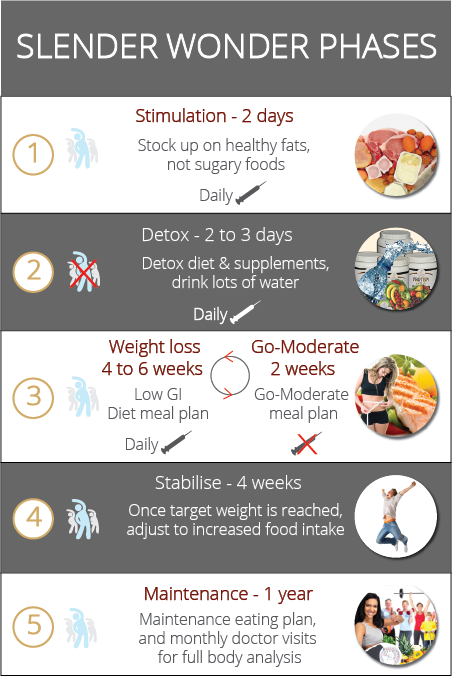 Slender Wonder is a Medical Weight Loss Programme which means that it can only be done through our network of accredited Slender Wonder Doctors. This is not a weight loss programme based on kilojoules, but rather a formula based on a low GI eating plan, our Slender Wonder products (shake and supplements), as well as a series of injections that helps to improve the body’s leptin (just like insulin) sensitivity. Depending on the patient’s starting weight, results have shown that most individuals lose up to 5 – 8 kg’s in the first month. Results may vary and are patient specific. Once you reach the maintenance phase, your Leptin sensitivity will have been restored and this will help you to maintain your new weight provided you continue to follow a healthy lifestyle! The system is proven to ensure the loss of non-structural “bad” fat and not a reduction in kilograms due to the loss of muscle or water. This is monitored by performing regular Body Stats.